Londontown is a love letter in pictures to this bustling world capital. Photographer Susannah Conway takes us beyond the familiar sights to capture an authentic local experience of the city. 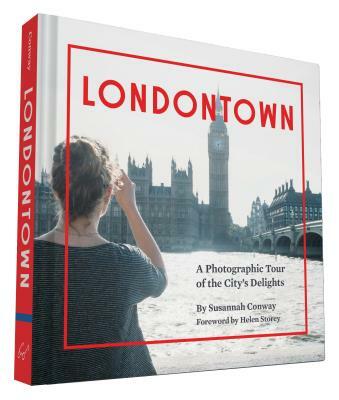 Readers will travel with her as she crisscrosses London, shooting all the hippest, most exciting, and most historic neighborhoods, and sampling the city's effortless cool, vibrant street life, and timeless know-how. Mixing signature Polaroid shots with modern digital photos, this insider's slice of London life will appeal both to those living half a mile from Big Ben and Anglophiles anywhere. Susannah Conway's writing and photography have been featured in international publications and two previous books. She lives in London. Helen Storey MBE is an award-winning designer and artist and a professor at the University of the Arts London. She lives in London.